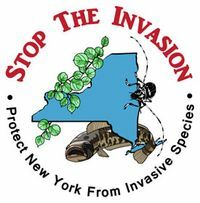 Christopher Williams of Partnerships for Regional Invasive Species Management (PRISM) will be sharing research on invasive species, teaching invasive species identification, and encouraging citizen science through the use of iMap Invasives. Anyone willing and able is welcome to stay after the educational program for the work day potion of the event, where participants will have the opportunity to join Williams in the removal of certain invasive species on the Huyck Preserve property. ​ We encourage participants of the work day to wear long pants and to bring a bagged lunch, bug repellent, and plenty of water.